The Oscar-winning actor has apologised and said the event “is not reflective of who I am”. 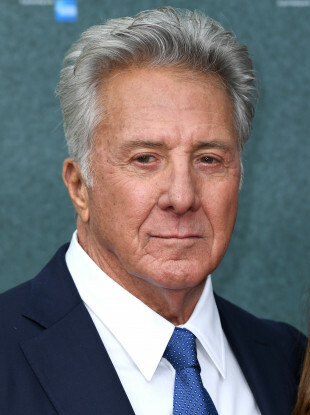 HOLLYWOOD ACTOR DUSTIN Hoffman has been accused of sexually harassing a 17-year-old intern during the filming of the 1985 film Death of a Salesman. Author Anna Graham Hunter told The Hollywood Reporter that Hoffman grabbed her backside and made inappropriate comments on the set of the television film. “When I was a senior in high school in New York City, interning as a production assistant on the set of the Death of a Salesman TV film, he asked me to give him a foot massage my first day on set; I did. “Today, I realised some things about this business that scare me. First of all, Dustin’s a lech. I’m completely disillusioned. After Tootsie, I thought I wanted to marry him. Elizabeth asked him what he wanted for lunch and he said, ‘Your left breast’. ‘You pig.’ She walked away. “I have the utmost respect for women and feel terrible that anything I might have done could have put her in an uncomfortable situation. I am sorry. It is not reflective of who I am. These allegations are the latest to be levelled against Hollywood A-listers after it was revealed that Harvey Weinstein, one of Hollywood’s most successful producers, allegedly harassed dozens of women over a number of decades. On Monday, actor Anthony Rapp accused House of Cards actor Kevin Spacey of sexually assaulting him during the 1980s, when he was just 14. In response, Spacey said that while he has no memory of the encounter, “if I did behave then as he describes, I owe him the sincerest apology for what would have been deeply inappropriate drunken behaviour”. The allegations plaguing Hollywood have also sparked accusations in the UK’s House of Commons of an apparent “disturbing” culture of sexual harassment in parliament. Email “Dustin Hoffman accused of sexually harassing a teenage intern during 1980s”. Feedback on “Dustin Hoffman accused of sexually harassing a teenage intern during 1980s”.